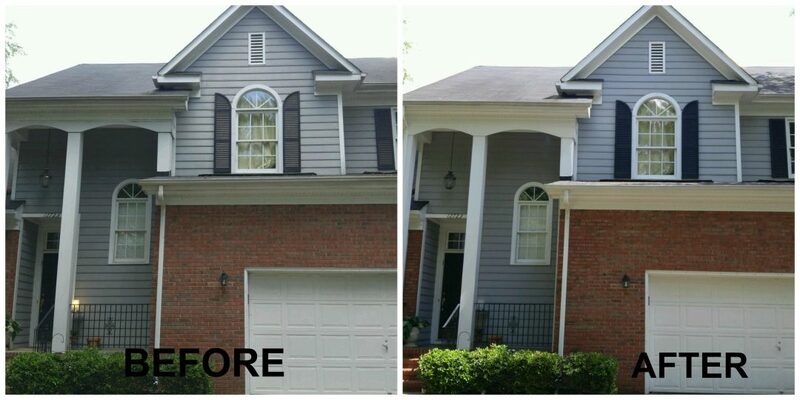 Pressure Washing the exterior of your home can add property value as well as take years off of your home. Here is a residential house we did over the summer utilizing our 2 part cleaning solution – a mold killing and growth inhibiting cleaning agent. The customer was extremely happy with the results and so were we!